The Women for Gillard campaign will be launched on Tuesday as Prime Minister Julia Gillard attempts to reach out to female voters. The independent campaign arm is funded by the Labor party and is modelled on US President Obama’s highly successful Women for Obama operation. According to the Herald Sun, Women for Gillard will seek ‘micro-donations’ from supporters’ credit cards to fund digital, print, and television ads. It is believed that Ms Gillard will reference her infamous ‘misogyny’ speech when launching the campaign. Public perceptions of Tony Abbott as being ‘anti-women’ will also be played upon. Former Gillard government staffer, Clarabella Burley, heads the outfit. 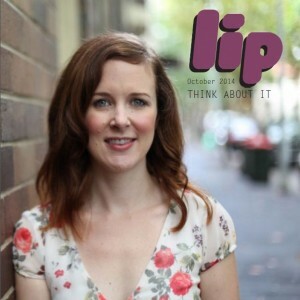 She highlighted Mr Abbott’s position on abortion as an example of a misogynistic stance. ‘I don’t know any young woman who is not disturbed by Tony Abbott’s record on women, describing abortion as the easy way out.’ said Burley. However, national political editor for the Daily Telegraph, Samantha Madden, has claimed that the Prime Minister has left it too late to play the gender card. Madden suggests that the campaign is full of contradiction, saying: ‘if voters are supposed to back Gillard simply because she is a woman, why is the Prime Minister not backing a female candidate for the Victorian seat of Batman?’. 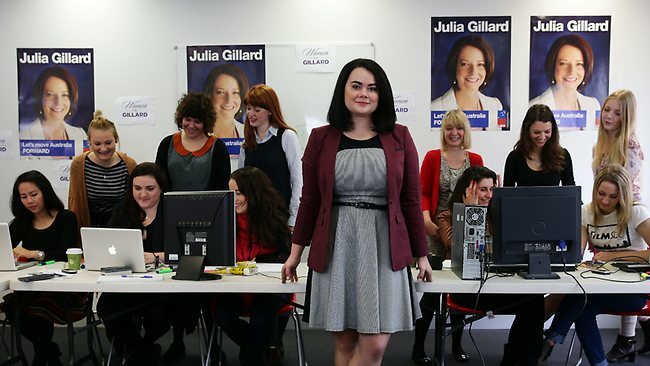 The Women for Gillard campaign may be ‘preaching to the choir’ in its efforts to make Gillard appear as the ‘female-friendly’ candidate. Switched-on female voters already know how they feel about Abbott and the ALP’s policies towards women and see Gillard as an alternative to that. But seeing a candidate as the lesser of two evils is hardly the motivation to support them financially. Bit cynical about this. Not only because I’m a man and thus feel left out *pout*. The Obama campaign this was based on was in large part a data-collection exercise, that allowed the Democrats to capture information about voters, and thus mobilise their vote (or, if they were a bit too inclined towards the Republican Party, to encourage them not to vote). This innovative method of polling the electorate comes from the same party that, as has been revealed in the past few weeks, has been undertaking massive surveillance of people’s private lives through facebook, and institutions such as the IRS, etc. It was also strongly based on the appeal of celebrity – people were often motivated to sign up or donate through the promise of a date with celebrities like George Clooney. This was all fairly new and innovative in the US, so it worked pretty well for the Democrats; we know more about how this form of polling/voter surveillance/campaigning works in Australia so expect voters to be a lot more skeptical/alert to political tricks come election time. The archetypical Misandry group of supporters with guess who at the forefront. The best Liar in Australia …. Juliar. Its a real strange thing but I don’t want my kids led by the dishonest or the deceitful or the ingenuous. All tags that sit well with the Prime Minister and her able bunch of faceless Union Supporters. I also don’t want welfare bludgers being admitted each and every day to be paid for by those of us that produce [Politicians never produce anything. They simply consume mainly in the First Class Lounge you are not able to enter ......] because of an accident of history. Misandry = Juliar Gillard, Penny Wong etc. Juliar. Well a Liar to the core. Others. Yet to be proven but highly likely. Working for Australia and YOUR families and kids. Nope. Give money. Well it shows just what a society you want. And hey, guess what, let Islam decide Australia and you will be covering your head and cow towing in a heartbeat. Must make you all so proud. And think about it you people. You got kids. More fool them because you did not stand up against Misandry and its consequences starting with a Lying Prime Minister. Think about it. Think about whether you want Australia as you want it. Or Australia as you would be horrified to have it handed to your kids. it’s… great that you have opinions! Where do we start on this one! 1) The issues of women supporting women didn’t seem to raise its head when THREE women nominated for the seat of Batman, and Gillard supports the only male nominee, the back room boy who back stabbed her colleague & ensured her personal success. This alone highlights the hypocrisy of her membership of Emily’ List. It only ever existed to secure her personal fortune! 2) Ask many women what they would define as misogyny? Ask Wilson, Emerson and Michael O’Connor’ s wife, what they think of Gillard’s attitude towards other women! Ask them who they would give as an example of someone who hates other women? Wow the definition of misogyny is not liking Craig Emerson’s wife? Wow Chris, the Gillard think tank has got you on their payroll, but not for your intellect! all these women have had their lives destroyed by Gillard! Or at least, she has attempted to do so, and in some cases, serially! Her utter disregard for other women is well depicted in her treatment of other women, their lives and their families. I note you ignore my other point regarding her hypocrisy re. Emily’s List! bit embarrassing for everyone really. And that says it all! What did she do to those women? Ask their husbands (or ex husbands) now! Independent campaign arm? Funded by the ALP…hardly independent…..
Hey Beck, I know it sounds silly. But the only information available as yet on the Women for Gillard campaign does describe it as independent but partially funded by Labor. Will be interesting to see how it all unfolds, and how much control Labor has over them. Brilliant … here we have at last a means by which we can support a brilliant leader who has not only survived successive attacks on her leadership but has stamina and achievement (although rarely reported) on her side. Some of the women of Australia support her passionately including my 90 something mother … a longstanding Lib supporter until Tony the narcissitic abbot took hold of the Liberal (?) party. About time women were given a voice. I am a great admirer of Julia Gillard. How do women get involved? I live in a small coastal town which is a haven for conservative retirees. I need to find ways to support Ms. Gillard. Gillard’s achievements have been drowned out by the Murdoch press & Abbotts sadly masterful spin. There is not a word of truth in anything he says, yet he daily gets away with it. Women are starting to see through the spin and the push-polling that is persuading those too busy -or too distracted – to make up their own minds. Abbott will only take Australia back to the bland Howard years where nothing of significance was achieved. Yes Gillard has made mistakes, but she has also done much to stir up the humanitarian within us all with the NDIS and education reform. This entry was posted in News, Politics and tagged in brief, julia gillard, politics, women. Bookmark the permalink.